It wasn’t until Sullivan Thomas lost her parents in a car accident that she learned about the gift she inherited from her mother—though it felt more like a curse. A single touch is all it takes for her to see the past, be it a person’s or an object’s. When Sully meets Declan, a rugged Woodland Creek local, she finds herself blissfully unable to read him and even though something about him screams danger, Sully surrenders to desire. 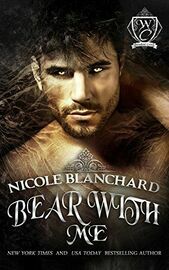 A bear-shifter with a violent past, Declan Cain lives a present void of emotional entanglements. His solitary life in the vast forests of Woodland Creek is all he needs. Though when he meets Sully, the last thing he wants to do is cut her loose. When her gift shines light on Declan’s past, the two are thrown into a whirlwind of mystery and intrigue. Danger mounts and secrets are revealed and the two must decide if risking their hearts is a price too high to bear.